Holla beautiful people, hope you are all doing & feeling amazing, even though the summer is going to the end, unfortunately! Autumn season will definitely bring some new winds to our wardrobes, but honestly, I'm pretty happy about it. I love wearing cool biker jackets & lovely knitwear when it's a but more chilly outside. What I've realised recently, I started wearing more minimal pieces. Well yes, it's a big trend at the moment so it definitely makes an influence to our style, however I don't see anything bad in these changes. Changes are always good and it always brings some new experience which I always try to value! As I said, I'm more into minimal pieces recently, however it usually requires interesting and unique accessories matched together. I was sent these (for me very unusual, I never had anything like this in my jewellery box!) earrings by RASA Accessories. It's a Lithuanian brand which is going very well and I'm happy to see another unique label that was born in my homeland! I've decided to match just a little black dress, but I'm sure that a bright pink/yellow/blue dress or jumpsuit would look amazing with these earrings. I would say it's more for a special occasion, not everyday, that's why I've matched it with a pair of heels to make it more as an evening look. Let me know guys what do you think! 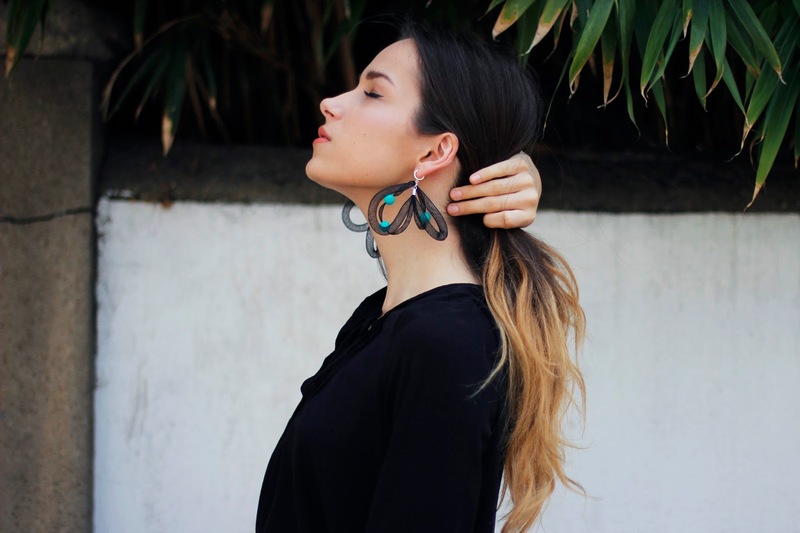 Find more RASA Accessories jewellery pieces here. Loved the earrings! And yes, they'll look gorgeous with a colored dress or jumpsuit!